A documentary about living with dementia and the myths surrounding the condition will be released on Netflix on May 1. Dementia refers to various brain disorders which trigger a loss of brain function including memory loss, personality changes, problems with speech and impaired reasoning. According to the Alzheimer’s Society, currently in the UK there are 850,000 people living with dementia, with these numbers set to rise to over one million by 2025. Thought #1: The number of people living with dementia is growing. Fast. 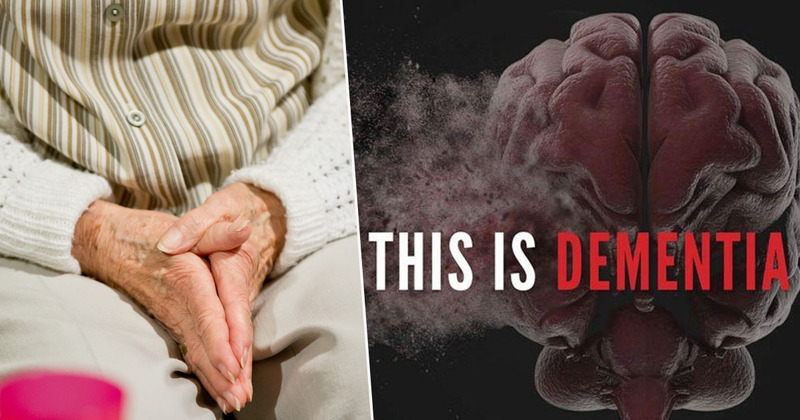 The upcoming documentary, This Is Dementia, features interviews with an academic researcher, a dementia educator and a grandson of a dementia sufferer as it takes a look at the condition. Premiering at FilmBar in Phoenix, Arizona today (April 11) before it hits Netflix, the documentary sensitively analyses how dementia affects peoples’ lives, also looking at the causes and misinformation surrounding it. This Is Dementia features an interview with neuropsychologist Dr. John DenBoer, a dementia researcher who also produced the film. Dr. DenBoer is also the creator of Smart Brain Aging, a company which aims to help delay the onset of dementia, also hoping to reduce its severity through a brain-training program. As well as being an expert on dementia, Dr. DenBoer has also witnessed the effects his grandmother’s diagnosis had on their family. That’s when I started getting interested in how to identify dementia early and how to prevent it from getting worse. While the documentary is a personal story about my grandmother and me, it really focuses on how my story is like everyone else’s story. It’s not incredibly unique at all. It’s a shared story. Dementia is a terrible disease. It takes what we value most — our independence, dignity and time. For me this is a spiritual and personal mission. Dr. DenBoer hopes the documentary will clear up the myths surrounding dementia, including the suggestion it is a normal part of aging. There is so much misinformation around dementia – especially among the older generation. Over the course of their lives, they’ve heard all kinds of information about dementia and now aren’t sure what to believe. Fortunately, we have a lot clearer picture of the many causes of different types of dementia. The trick is getting accurate information out there. I hope this documentary will offer understanding, education and above all hope to people living with dementia. You can contact the National Dementia Helpline on 0300 222 11 22 between 9am – 8pm Monday to Wednesday, 9am – 5pm Thursday and Friday, and 10am – 4pm Saturday and Sunday. This Is Dementia will be available on Netflix from May 1.